Retired investors are typically looking for mutual funds that can provide stability, income, growth, or some combination of those objectives. Luckily, Fidelity funds cover a swath of objectives to meet the diverse needs of investors during their retirement years. The reason for this wide variety of investment needs is that most retirees use their mutual funds as sources of income. That said, even retirees invest for the long term. 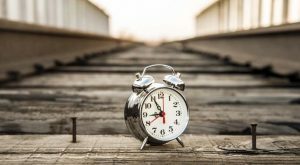 Although the ripe ages that welcome retirement tend to lean toward conservative “risk-off” attitudes, they still need to maintain some growth elements within their portfolios. Even just a modicum of strong growth can stave off inflation and continue growing assets throughout retirement. With that backdrop in mind, we dug deep to find 10 of the best Fidelity funds for retirees to hold in their portfolios. We kick off our list of Fidelity funds for retirees with one of Fidelity’s highest rated funds, Fidelity Capital Income Fund (MUTF:FAGIX). 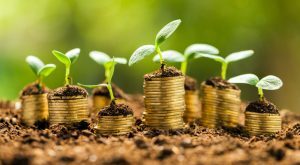 FAGIX is a balanced fund that seeks to provide a combination of income and growth, which is an objective at the core of smart retirement investing. The portfolio accomplishes this objective with an asset allocation of roughly 80% bonds and 20% stocks. The bond mix consists primarily of high-yield corporate debt and the equity side includes mostly large-cap stocks, such as Skyworks Solutions Inc (NASDAQ:SWKS), Alphabet Inc (NASDAQ:GOOG, NASDAQ:GOOGL) and HCA Holdings Inc (NYSE:HCA). FAGIX could work well as a core holding in a retirement portfolio or as a complement to other holdings. Investors looking for a core holding to use as a foundation to build a retirement portfolio should take a close look at Fidelity Large Cap Value Enhanced Index Fund (MUTF:FLVEX). FLVEX is an enhanced index fund, which means that the holdings are selected from a target index by computer-based quantitative analysis to arrive at a portfolio that can outperform the index. In different words, FLVEX is an index fund with potential to outperform the index, thus the “enhanced” moniker. The FLVEX portfolio normally holds about 80% of the stocks in the Russell 1000 Value Index, which represents large-cap value stocks like Exxon Mobil Corporation (NYSE:XOM), JPMorgan Chase & Co. (NYSE:JPM), and AT&T Inc. (NYSE:T). Retired investors often seek funds that hold stocks that pay dividends and that can provide potential for long-term growth. Fidelity Strategic Dividend & Income Fund (MUTF:FSDIX) can be a smart choice to fill that space. FSDIX gets its income from a combination of common stocks, preferred stocks, REITs and convertible securities. Top holdings include quality large-caps, like Microsoft Corporation (NASDAQ:MSFT), Johnson & Johnson (NYSE:JNJ) and AT&T. The FSDIX portfolio also allocates about 10% of its assets to bonds. So retired investors can get income without the market risk associated with an investment allocated 100% to stocks. A good “go-anywhere” bond fund can make a smart addition to the fixed-income portion of a retirement portfolio. And Fidelity Strategic Income (MUTF:FSICX) is a multi-sector bond fund that fills that niche. The bond market is arguably more complex than the equity market, which means that investors needing income from bond funds are smart to hold at least one actively managed fund in this category to tap into the value of a professionally managed portfolio. The management team for FSICX looks to hold bonds that pay a high level of current income. This makes FSICX a smart complement to more conservative bond fund holdings. 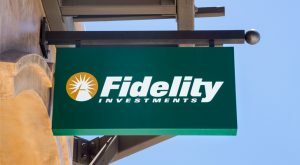 Investors looking to diversify their fixed-income holdings with a mutual fund that holds high-yield bonds from all around the globe will want to check out Fidelity Global High Income Fund (MUTF:FGHNX). The FGHNX portfolio consists primarily of low credit quality debt with about 50% being U.S. bonds and the other half non-U.S. issues. The global reach allows the fund management team to find high-yield bonds anywhere in the world they can be found. Investors thinking of purchasing shares of FGHNX are cautioned of the added market risk that low credit quality foreign bonds can carry, but this fund can be a fine complement to a diversified mix of bond funds. 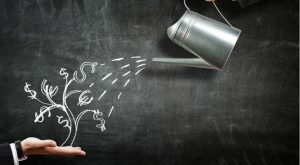 If you’re looking for high yield and you’re not afraid of market risk, Fidelity High Income Fund (MUTF:SPHIX) can be one of the best Fidelity funds to buy. SPHIX focuses on low quality, high-yield debt, primarily from U.S. corporate bonds. As of this writing, the current 30-day yield was 5.52%, which is much higher than yields possible with higher-quality bonds. That’s because the portfolio manager is willing to buy debt from troubled companies, which creates higher relative risk to get those outstanding yields. SPHIX can be used to complement a more conservative core bond holding, and to diversify the fixed-income portion of a retiree’s portfolio. The best Fidelity funds for retirees are not all dividend stock funds and high-yield bond funds. Retired investors are smart to include a broadly diversified bond fund like Fidelity Total Bond Fund (MUTF:FTBFX) prominently in the mix. Diversification is a crucial factor in portfolio construction in general, but more so for retirees because risk and volatility are enemies of preservation and income. The average credit quality of the holdings in FTBFX is investment grade. About half of the portfolio consists of high-quality government bonds and the remainder are in lower quality issues. Retirement portfolios need to be built to last up to 30 years. Core holdings like FTBFX are central to that objective. Retirees needing income in a taxable brokerage account are smart to consider using a bond fund like Fidelity Tax Free Bond Fund (MUTF:FTABX). 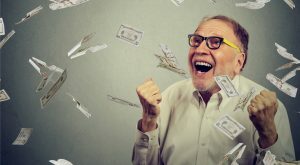 One of the biggest enemies of any investor, especially a retired one, is taxes, which can take a big bite out of retirement income. And the higher the tax bracket, the more tax-free bond funds like FTABX make sense. The FTABX portfolio holds a basket of municipals bonds, most of which are investment grade credit quality and intermediate-term. 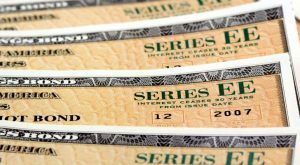 Municipal bonds are tax-free at the federal level, which is why they can be smart for taxable accounts. Investors looking for a way to take advantage of a rising interest rate environment during their retirement should consider Fidelity Floating Rate High Income Fund (MUTF:FFRHX). This means that, unlike conventional bonds, floating-rate bonds may actually appreciate in value during periods of rising interest rates. If and when the Fed’s tightening campaign slows or ends, however, floaters can depreciate price faster than the broader bond market. Therefore, investors should use caution using funds like FFRHX. The high-yield nature of the fund also means low credit quality, which also adds to the market risk. 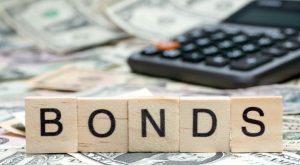 Retired investors wanting to reduce interest rate risk may want to take a close look at Fidelity Conservative Income Bond (MUTF:FCONX). Rising interest rates mean falling prices for bonds, which tend to erode at the returns for bond mutual funds. In general, bonds of longer duration have greater interest rate sensitivity. So the biggest declines in value tend to occur with the intermediate- and long-term bond funds, compared to the short-term bond funds. FCONX holds a basket of bonds with maturities of less than two years, as well as money market instruments. This gives FCONX a balance of low interest rate risk and liquidity makes the fund a smart alternative to lower yielding money market funds and higher risk bond funds. As with all of the funds highlighted in our list of Fidelity funds for retirees, FCONX can work well as a compliment to other mutual funds in diverse categories to build a complete portfolio. 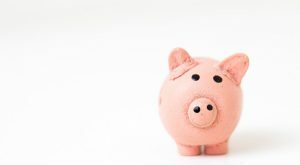 Article printed from InvestorPlace Media, https://investorplace.com/2017/04/the-10-best-fidelity-funds-for-retirees/.